An exclusive blend of antioxidants, vitamins and nutrients to help support your body’s glutathione levels and defend against free radicals, chemical toxins, and heavy metals. I find NFuze to a be a great supplement to my diet as it provides me with the vitamins and nutrients I need on a daily basis. 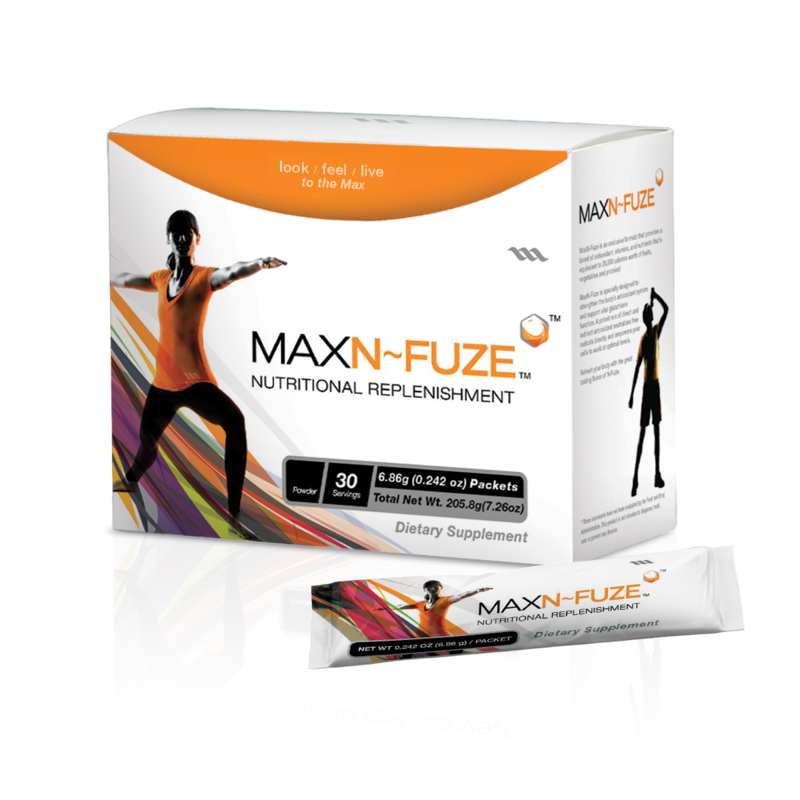 I need to make sure I maintain a very nutritious diet, so I’ve found Nfuze to be a great product. I feel great with it and it really helps me recover after exercise by replenishing those vitamins and nutrients that have been depleted. Proprietary blend helps preserve and enhance Glutathione’s function and the body’s antioxidant network. Convenient to take on the go. Buy MaxN~ Fuze™ now. It contains key vitamins a healthy body depends on. Choose the best. Choose MaxN~Fuze.